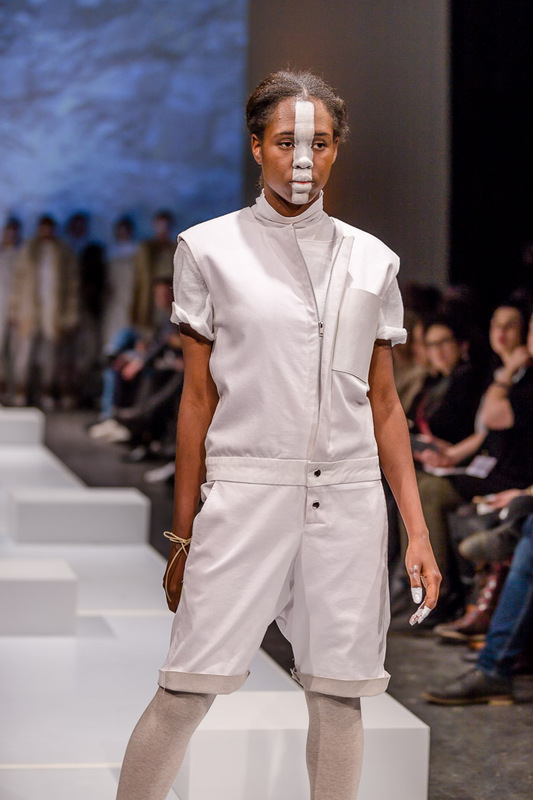 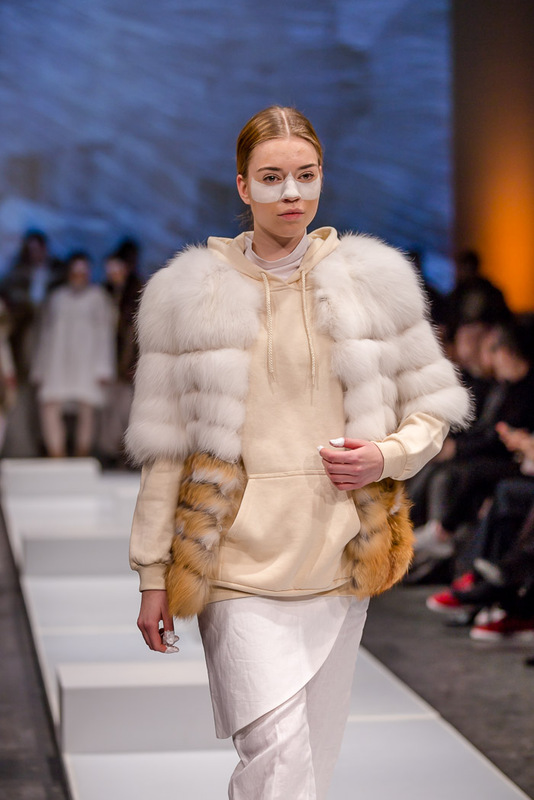 For the opening of the second day of Fashion Preview #7, several elaborate fur creations by Design students of École de mode du Cégep Marie-Victorin walked down the runway in a show inspired by Kevin Calero’s video Shaky Hands. 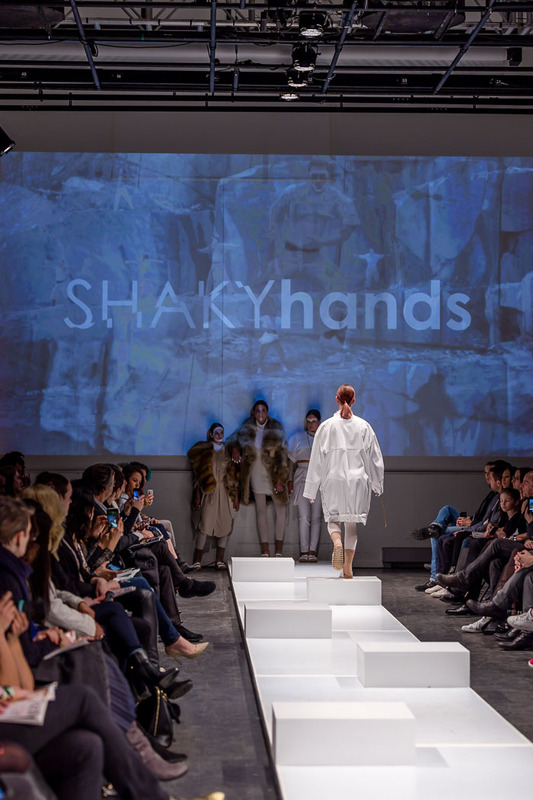 The video, which was being projected in the background, almost placing the show in a rocky setting, was recorded in a massive quarry 4 hours north of Montreal for the singer and producer Marie-Hélène L. Delorme, and the concept behind it was “the vertical ascension through the various stages of internal torment”. 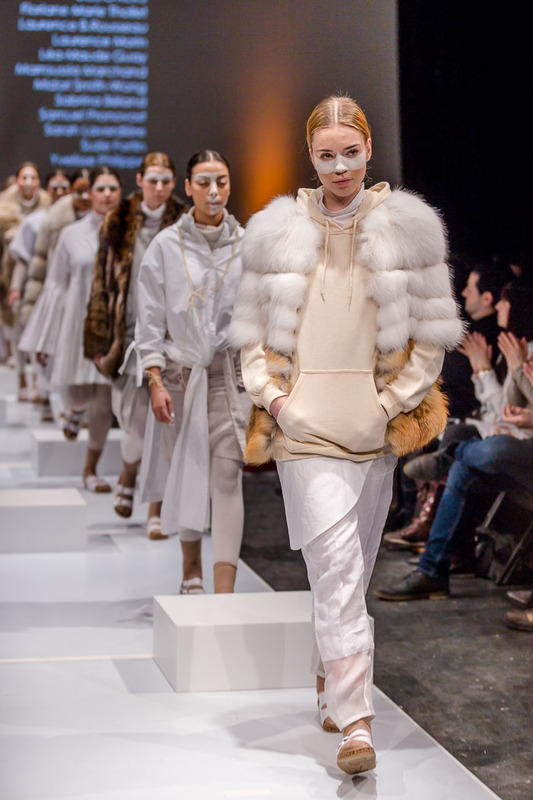 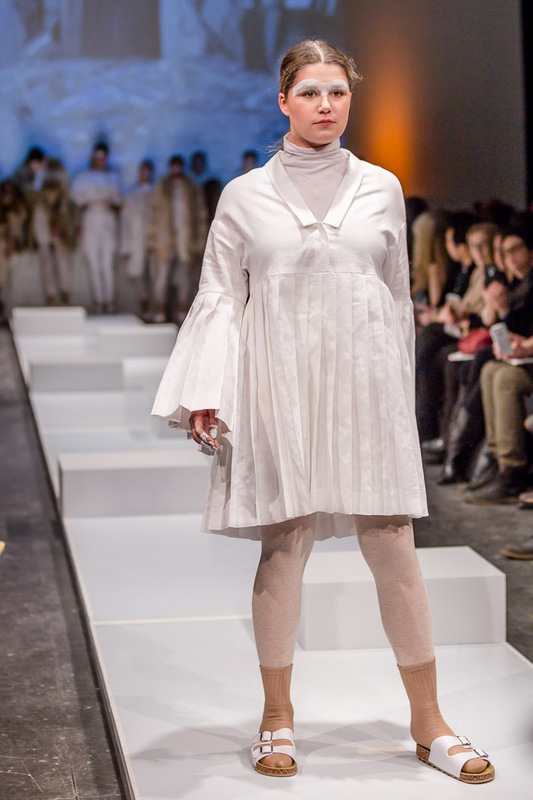 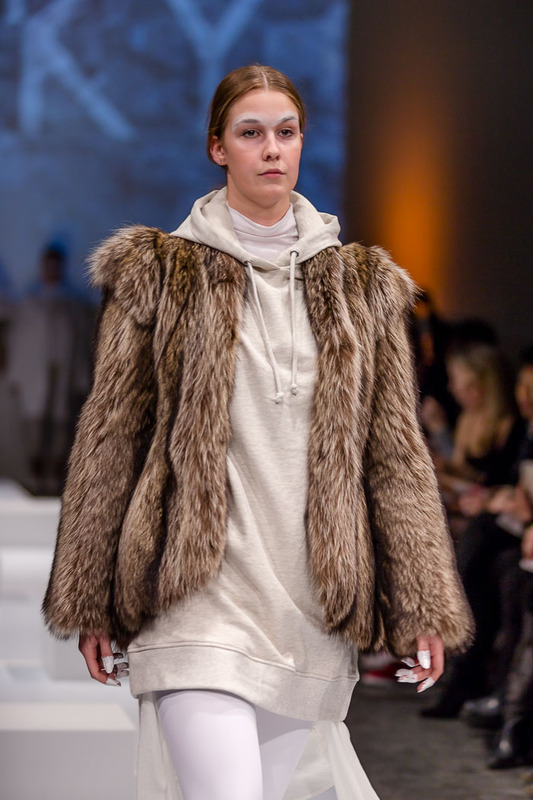 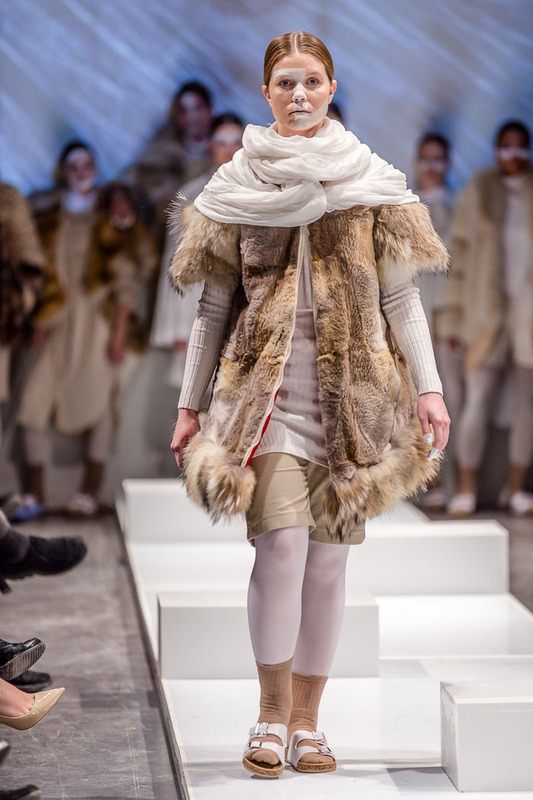 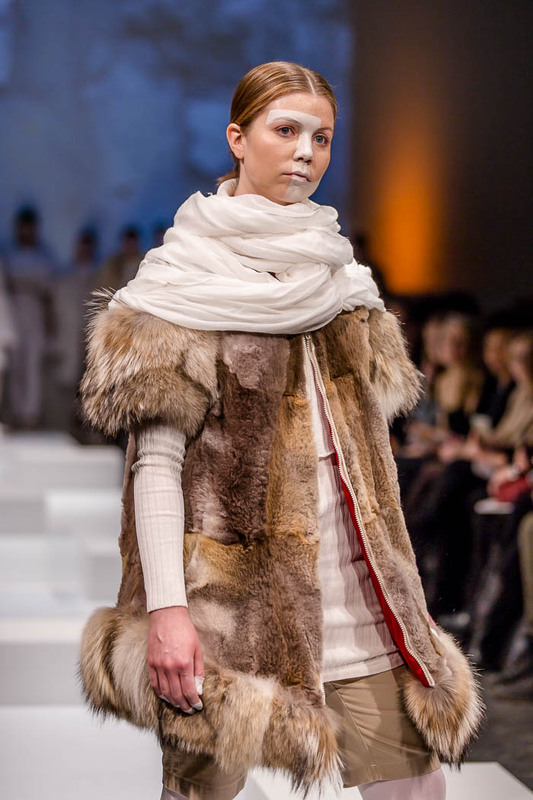 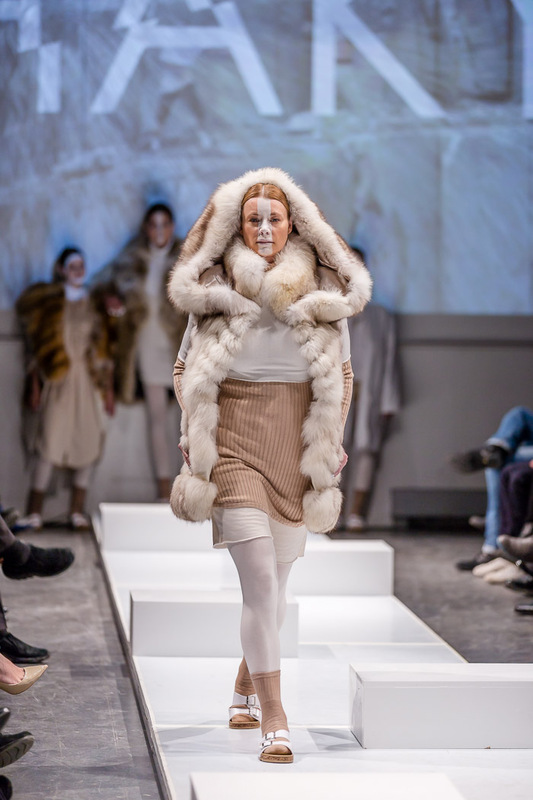 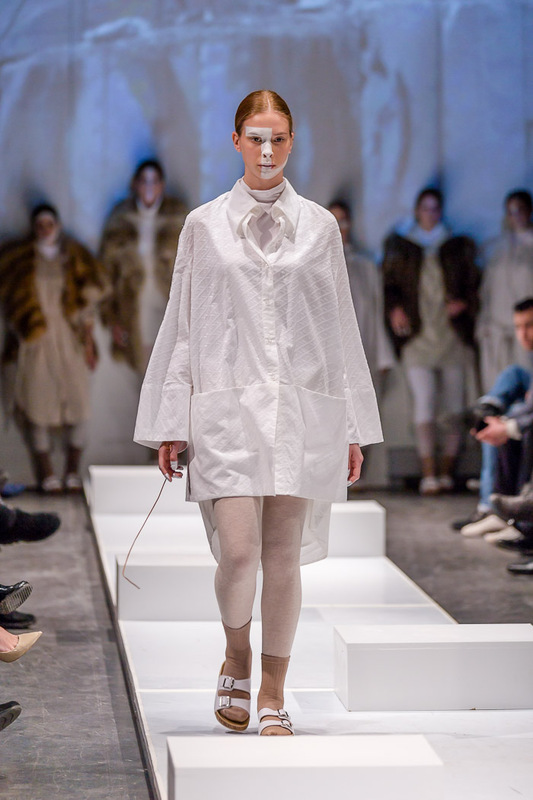 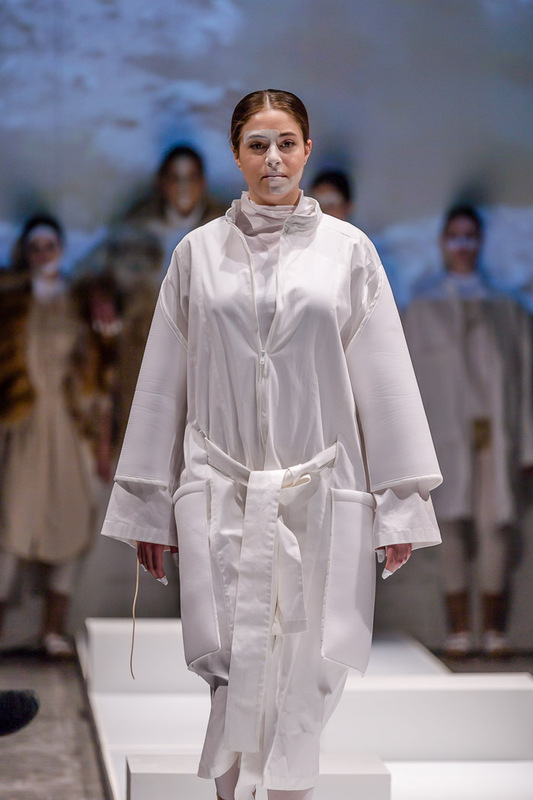 The Design program of the École de mode du Cégep Marie-Victorin (Cégep Marie-Victorin Fashion School) offers it’s students the opportunity (unique in North America) to specialize in fur clothing design. 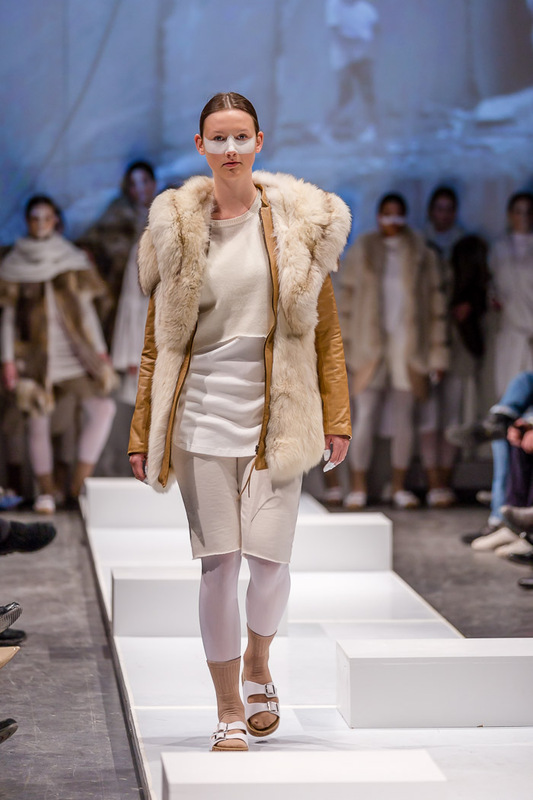 What we were able to admire during Fashion Preview, were the beautiful creations of some of these students, a series of fur jackets with intricate design (mixing fur, leather, suede, and even wool) yet very wearable, which were alternated on the runway with with some more minimalistic, all-white outfits. 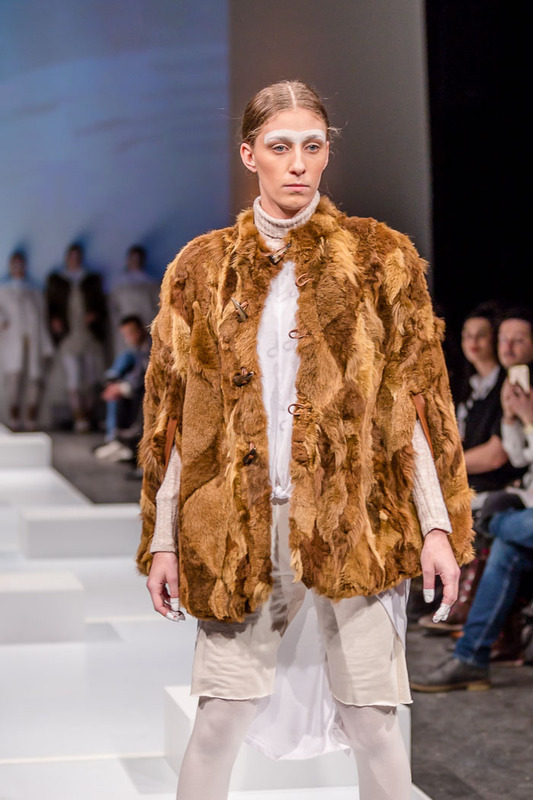 Have a look at the photos above to enjoy the creations of the Marie-Vic students and to get inspired for the Fall-Winter 2017-2018 season.